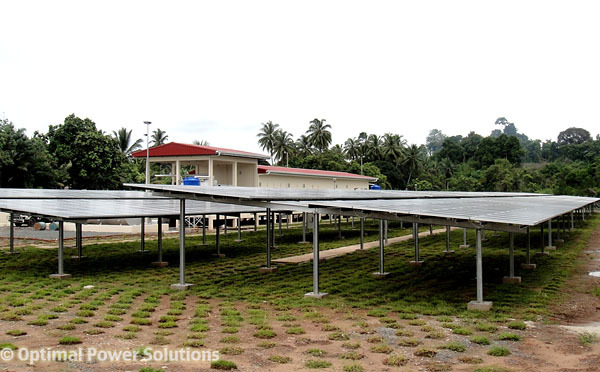 Solar-Diesel generator hybrid power in Kinabatangan, Sabah Malaysia. This system was installed and commissioned in Sept 2012 by Optimal Power under KPLW project. For those who managed to get the quota for renewable energy projects under SEDA's FiT, and those who have been in the RE business for sometime now, this is the time to showcase your works. At the same time, get some reward, if yours is/are the ones that are better managed. Sustainable Energy Development Authority (SEDA Malaysia) as the coordinator for ASEAN Renewable Energy Sub-Sector Network (RE-SSN) is inviting owners/managers with renewable energy projects in Malaysia to participate in the ASEAN RE Project Competition 2013 organised by ASEAN Centre for Energy (ACE). More details can be obtained from SEDA Malaysia website. In the State of Johor, Malaysia. At Sungai Perting, Bentong, Pahang Malaysia.